Gloveleya,the brand which is professional to produce the outstanding lovely cartoon bag design.We provide various cartoon stuffed animal style handbags,backpacks,coin bags etc. 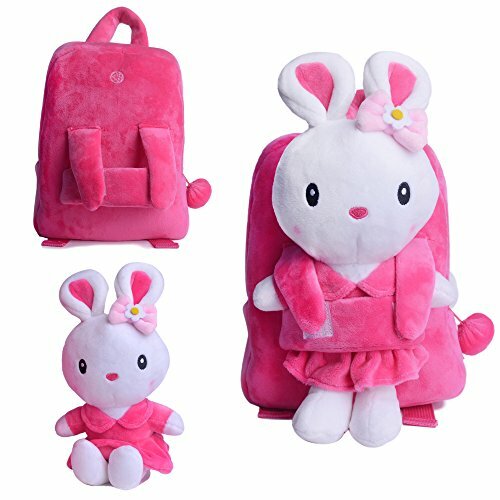 Size:18*9*23 cm (7*3.5*9 inches)in length*width*height.Made of high quality plush and zipper accessories. Suitable for baby, kids under 5 years old.Enough space for children's things, like toys, foods, fruits,small books,pencil bags and other stationery etc. 2 adjustable shoulder straps and a top handle for easy carrying or snuggling.Bunny doll could be detached. If you have any questions about this product by Gloveleya, contact us by completing and submitting the form below. If you are looking for a specif part number, please include it with your message.